These first-time homeowners talk about the quick, smooth manufactured home approval process. A first time home buyer tells us how Extremely Pleasant and Extremely Easy the home purchase process was at Summerfields Friendly Village. William & Joan have lived at Friendly Village for 12 years and have lived in Williamstown NJ for decades. Find out why they feel the location is perfect. 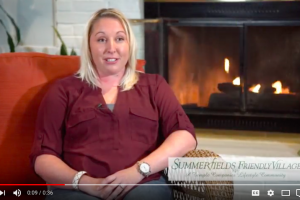 Video testimonial from a young resident who appreciates how safe she feels at Summerfields Friendly Village. 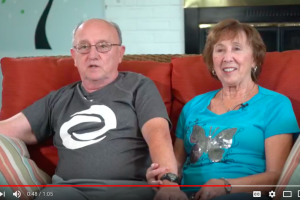 Watch this video testimonial from a resident of Friendly Village. Watch this video testimonial from a first-time homeowner.